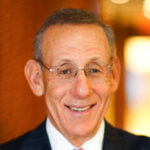 Mr. Ross is Chairman of the Board of Directors of Equinox Holdings, Inc., serves on the Executive Committee and is a trustee of Lincoln Center, and is a trustee of NewYork-Presbyterian Hospital and the Guggenheim Foundation. He is a director on the board of the Culture Shed and the Jackie Robinson Foundation and is chairperson emeritus of the Real Estate Board of New York (REBNY), the city’s leading real estate trade association. Mr. Ross is also a director on the board of the World Resources Institute (WRI) and recently established the WRI Ross Center for Sustainable Cities, an innovative new initiative to integrate urban planning, sustainable transport, energy and climate change, water resources, and governance.